Firstly, we want to thank your trust when buying our Real Leather Studio products. We hope that you find useful these suggestions to take care when using your new leather product. These advices are valid to maintain your product in perfect conditions during all your life. Do not hesitate to contact us for any doubt by email or phone call. We will advise you how to proceed depending on the type of leather of your product. 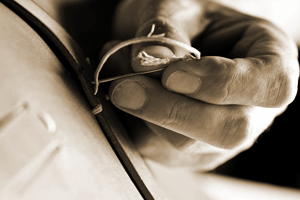 Ever since 1984, the skill and know-how of our artisans have been passed down from generation to generation, to create the products designed by Real Leather Studio, a name synonymous with luxury. Love for tradition, precision, attention to detail and contemporary design are the essence of our leather products. Real Leather Studio uses a wide variety of leather, offering incredible quality and feel. At times, there might be slight irregularities owing to the nature of the leather, a symbol of its beauty. 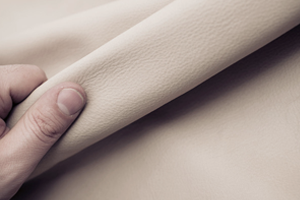 The production of our leather products is made with the highest quality leathers that are in the market. Our fur products are subjected to the most stringent quality controls. Our leather goods improved their beauty with its use in time. Something extraordinary. Avoid direct prolonged exposure to sources of light, heat, moisture and rain. In the latter case, we recommend wiping the leather item with a soft dry cloth and leaving it to dry at room temperature. Keep the leather item stored in its original packaging, which will help to avoid colour transfer owing to prolonged contact with another leather products. Try not to overfill or overload the leather item, so it doesn’t lose its shape. Real Leather Studio abides by international regulations regarding the protection and conservation of nature when manufacturing all our leather products.